Keratoconus is a disorder of the cornea (transparent layer of the eye) wherein the surface of the cornea is irregular and bulges like a cone. What are the types of contact lenses used in Keratoconus? 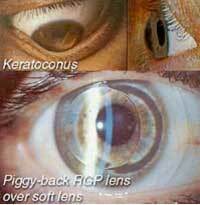 There are different types of contact lenses used for the treatment of Keratoconus. 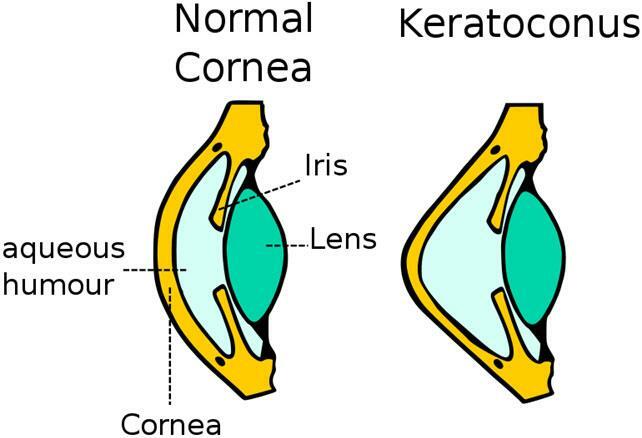 The best lens for Keratoconus is one that fits best to your eye, helps in correction of vision and is comfortable to wear. Custom soft contact lenses: - These are specially designed contact lenses to correct mild to moderate Keratoconus. Soft contact lenses are good for an intermittent wearer. They are less sensitive to light. Gas permeable contact lenses: - They are rigid lenses made of firm & durable plastic that transmits oxygen. Gas permeable contact lenses are less expensive to maintain as they require almost no water to maintain their shape. Therefore, they don’t pull moisture away from the eyes. These are healthier and most comfortable for the eyes. Piggy backing contact lenses: - Piggy backing contact lenses are two type lens system. An RGP (Rigid Gas Permeable lenses) is worn on the top of the soft contact lens. The RGP lens provides crisp vision and the soft contact lens acts as a Cushing providing comfort. Hybrid contact lenses Scleral and Semi-Scleral contact lenses:- The hybrid lens is specifically designed for Keratoconus patients. They provide the crisp optics of a gas permeable contact lens and wearing comfort of soft contact lens. Scleral Lenses:-These are large diameter gas permeable contact lens. The lens covers a larger portion of the sclera, whereas the semi-scleral lens covers a smaller area. They are comfortable to wear as the edge of the lens rest above and below the eyelid margin so that one doesn't feel the lens even though they would be wearing one.